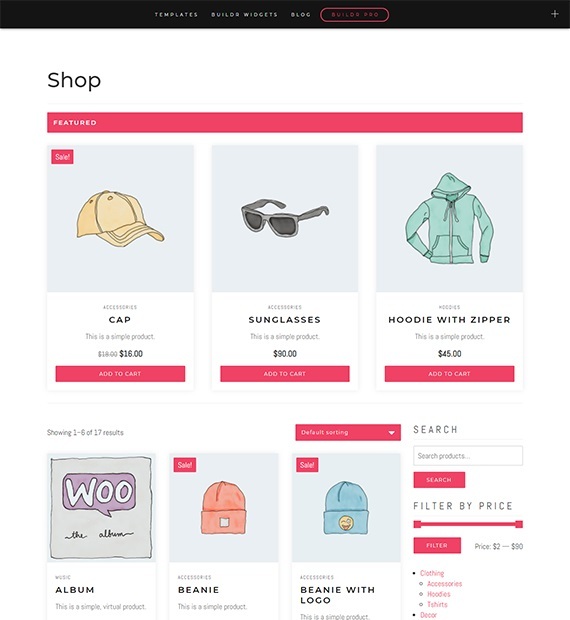 Builder is a free Ecommerce theme that provides you with abundant features. It has customizable header, logos, colors, fonts and much more. With 3 pre-designed theme presets, blog layouts and navbar menu to choose from, Buildr gives you great flexibility to customize as you like. It comes with companion plugin that gives drag and drop widgets to build your site. Also, it is integrated with WooCommerce and Easy Digital Downloads which lets you professionally manage your online business. Display your latest blog/ news beautifully and keep your site visitors informed about your work. Elegant design for blog section with featured images. Choose from the array of blog layouts available with the theme and create the one stunning website envisioning your uniqueness.